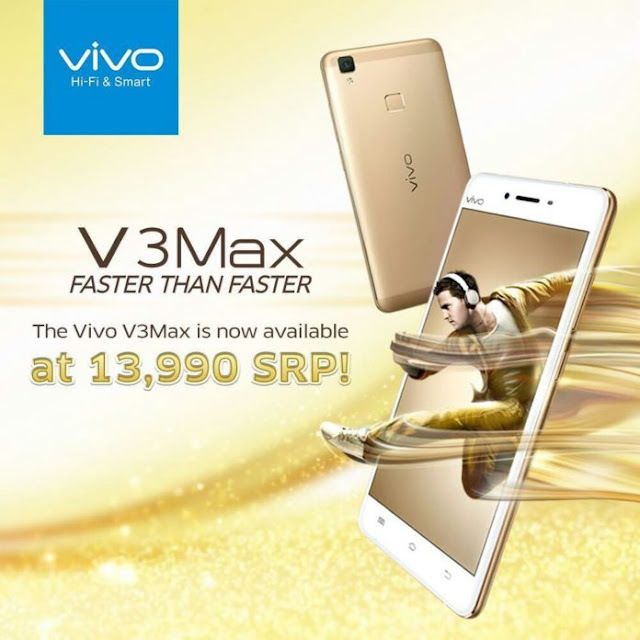 The Vivo V3Max smartphone has just been made more affordable and is now Php3,000 discounted. Beginning October 7th, you can now get the V3 Max for Php13,990. It was initially offered for Php16,990. The Vivo V3 Max, when released in the Philippines a few months back, received positive reviews from the local tech bloggers especially for its premium build and very attractive specs stuffed on the inside of the handset. Some even calling it the best mid-range smartphone of the year based on its performance and retail price, that's in addition to the build, design and specs. And yes it has fingerprint scanner sitting right below the rear 13MP camera. See more specs below. Again, the Vivo V3 Max smartphone, from its original price of Php16,990, can now be had for just Php13,990. Simply visit any Vivo concept stores and authorized retailers to get this phone for its discounted price. Argomall is the best place to buy Vivo V3 Max smartphone in the Philippines. Check it out at: https://www.argomall.com/vivo-v3-max-gold.html. Available in Gold color. Yours for only P13990 with free shipping and cash on delivery nationwide!